1600 Rhode Island Ave., N.W., Wash. 6. D. C. *C<ynfirTnmg application and details will also be mailed to you. the military rifles of the Rifle Association. The demand for military ammo continued strong, because the Rifle Association and shooting programs had burned up so much during the war training programs. A new demand was felt from other parts of the world for sporting cartridges. In almost every country, hunting ammunition was short, due to the war effort. Shooters of all nations expected neutral Sweden, and Norma, to solve their ammunition supply problems. Big game hunters needed the old, reliable, standard cartridges; handloaders needed brass and bullets. Orders began coming in to Amotfors from all over the world, and these orders presented new problems that taxed the skill of expertly trained people, engineers, and efficient machinery. 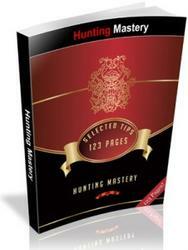 There are about 100 different hunting cartridges more or less commonly used in Europe alone. The national service caliber of other nations is usually that country's most popular hunting load, where it is not prohibited by law. But if prohibited, then some variation of it, not quite interchangeable, is often allowed—and this creates a further distinct cartridge to be supplied. There are a few well-designed standard cartridges that are preferred the world over, by a wide margin. Others still sell but are not universally popular. European ammunition factories now divide their production into two classes, A and B. The type A will be continued in production; type B is regarded as obsolete. Here, as in the U.S., when notice of discontinuance is sent out, not all hunters agree on the calibers selected to be dropped. The B types are mostly relics from black powder days, with case shapes and powder capacities unsuited for modern propellants. Some of them are hard to kill off. Few American hunters have heard of the 8 mm Remington cartridge. But in Sweden it is very popular, the counterpart here of the .30-30. Back in the 1880s the Swedish Army converted many of its .50 caliber rimfire rolling block rifles to take the then-new 8 x 58 rimmed centerfire bottleneck cartridge. These rifles, designated Model 89, for the year of adoption, were later sold for about $1 apiece to Swedish hunters. That Remington rifle with its seventy-year old cartridge still accounts for a great many of the 30,000 Scandinavian moose taken each year. And it is a comfort, north of the Arctic circle, to have a simple single shot that will not freeze up, with a hammer heavy enough to bust a cap no matter what the temperature. This cartridge, like a few other types, just has to be kept available. put stepped up again. Today, the .30-06 is one of the most popular calibers in Sweden, because of the excellent .30-06 sporting rifles turned out by Husqvarna, and interest in the .270 is growing. While factory-loaded Norma ammunition continued to be made in those calibers most popular or most necessary, the factory did not neglect the hand-loading enthusiast. In the Northern countries, handloacling has been a popular sideline to the firearms sport since the days of the muzzle loader. With the adoption of the 6.5 mm cartridge in 1894, handloading reached new heights. The demand for something better than the rounded military bullet caused Norma to develop a pointed boattail match bullet, having a soft steel jacket clad in copper-nickel inside and out. Clad-steel jackets have been standard in European bullets because of superior penetrating qualities, and partly because in, war, copper, critical metal for electrical and other uses, becomes too limited in supply for wasting on bullets. The answer to using steel jackets is Norma's "Triple-metal" sheet, steel coaled on each side with a layer of gilding metal or copper-nickel alloy; each of the outside layers being about 5 per cent of the thickness. This material is rolled when white hot through machines which bond the three layers of metal into one. The thin layer of gilding metal or copper-nickel cannot flake off, not even in the tightest barrel, and the material is rust-proof. It is then punched into cups and drawn in the same way as for ordinary jackets of pure gilding metal material. Steel must be carefully controlled all during manufacture, with intermediate annealings and other operations to maintain the correct hardness and elasticity of the finished bullet. A natural question of the American shooter, when told about steel jacketed bullets, is, "Will they wear out the barrel?" The answer is definitely no. In a modern rifle barrel it is never the bullet that wears out the bore: it is erosion. And erosion comes from the wash of hot powder gases against the bore. The more powder you burn in relation to the inside surface of the bore, the greater is the erosion. Modern powders and primers have little erosion; very little in comparison to earlier types. But when a barrel won't shoot accurately any more, almost invariably the reason will be that the sharp, clean edges of the lands are burned away at the rear end, where temperature is highest. Tests with different types of bullets proved the comparatively stiff steel jacket is upset less in the bore by the gas pressure, creating less pressure and friction against the walls of the bore, meaning lower temperature and less barrel erosion. With the 6.5 x 55, Scandinavian shooters fire four or five thousand shots before changing barrels— this is precision target shooting, remember, and all barrels are of normal steel quality.